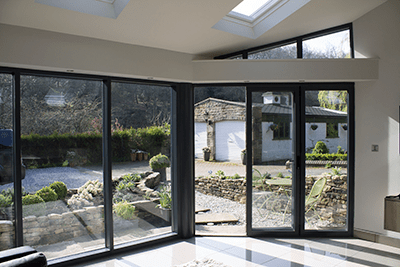 Clear View Bi-folding Doors was founded in 2010. From the start Paul Oxley and Graeme Bowen knew they wanted to provide something more than what was currently available. Clear View was built on more than a foundation of quality. Though there is plenty of that – we hold ourselves and our engineers to standard far, far higher than the minimum industry requirements. 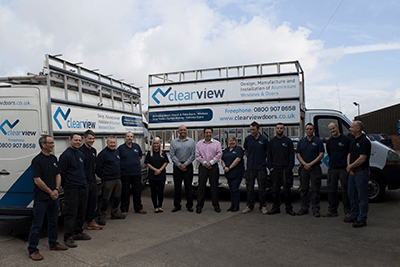 Clear View was founded on the underlying principle that the right set of windows and doors can change people lives. It may seem like we are overstating the fact, but by improving somebody’s home, by bringing more light into it and improving the connection with the outdoors, we can quite literally improve their physical and mental wellbeing. This is the principle upon which Clear View was founded, and why we strive to achieve perfection in every door and window we create. For the first part of our history we worked in a facility in Meltham. Which was a 3,500 square feet, within three years we relocated to a larger neighbouring 8,400 square feet factory unit, which we thought would suffice for a long time. However, we found that we quickly filled this space. We managed on for a while but we knew that our reputation was growing, as was demand for our doors and windows. We knew that if we were to keep up our high standards of operating, along with producing windows and doors to our high quality standers in a suitable time frame we had to expand. Plus, we felt bad for the office team having no windows. This is why in 2017 we moved into our new facility. This 20,000 square foot facility is perfect for us. Not only is there room for us to keep up with demand, but we were also able to build a purpose made showroom, so all our clients can see our doors and windows in situ, enabling them to get a better feel for what they wanted in their home. We also now have a very nice, leafy countryside view for the office team.